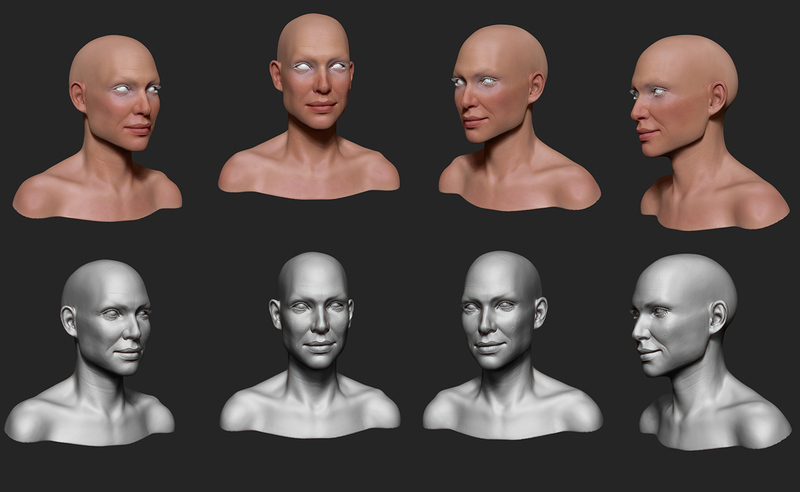 Not long ago I was approached by a fan of actress Claire Forlani if I could model a likeness sculpt based on portrait images of her film roles. I agreed to this project but wanted to stage the portrait in an interesting way. 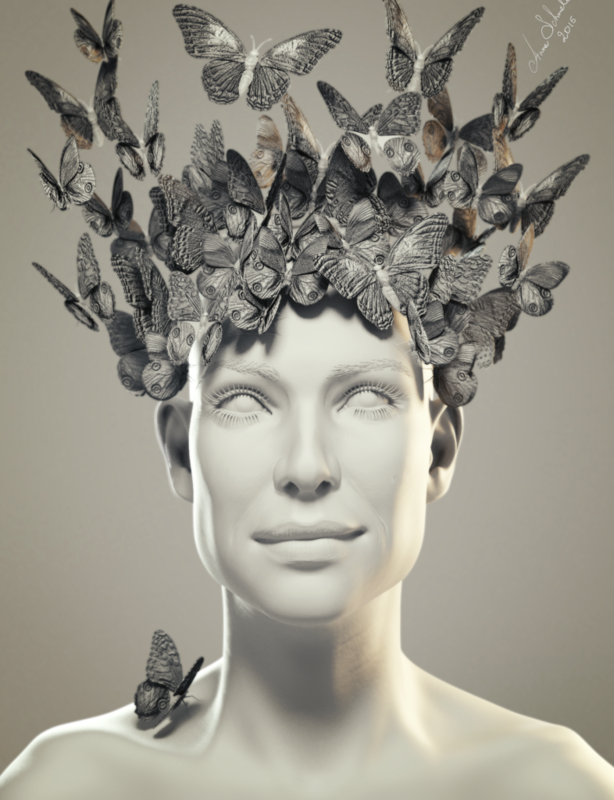 I found the idea of surrounding her with butterflys compelling and very pleasing to her face that this render emerged. The render was also supposed to be very realistic. 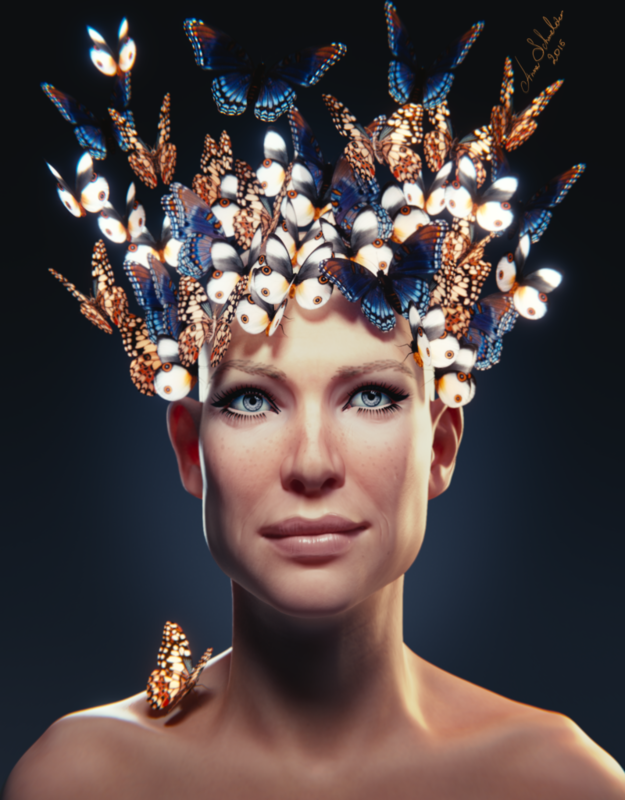 That’s why I set up SSS shading and HDRI lighting combined with classical 3point area light effect to make her apear beautiful and misleadingly realistic. I asked friends whether they are able to tell if its a fotograph or CG render. Could you?